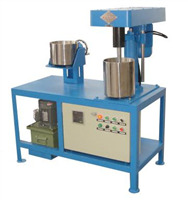 The optimal wet nanometer lapping processCharge pump will material sent to the grinding machine, in the process of the dispersion grinding cylinder is equipped weth zirconium beads. 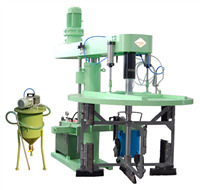 The type dispersing disk is functioned by the slot hole and multiplied profiles to produce the srrong bump and friction among mediate ball bodies.Therefore,the material can be ground and dispersed in high efficiency. Applicable for coating,ink,pesticide,paper industry emulcification,mixing and dispersing to get uniform material.Good quality is availablevia powerful high speed shearing in short time. 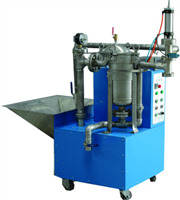 It can both works single and togethe with soome other sand grinder.Suitable for producitn paint,ink coating,dyesluff,paper making and so on in chemical industry,the mixers are used for wet dispersing and mixing liquid-solid material Non-grade speed adjustment by frequency converters,hydraulic elevating,working steadily,use and maintenance expediently. 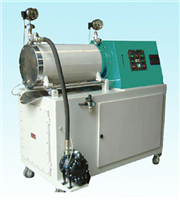 GZJM-1.5 Filler with Filter is a special equipment which semi-automatically filters and fills for UV ink. 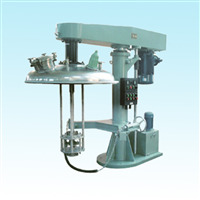 It adopts MOYNO filling pump and frequency control. Filler for Overprinting Varnish is special equipment which semi-automatically filters and fills for ink industry. 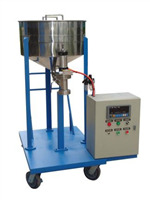 ZWJ-1.5 Low-Speed Stirrer adopts frequency control, automatic hydraulic reciprocation、low speed agitating structure of two leaf agitating paddle, is applicable for mixing high viscosity material. 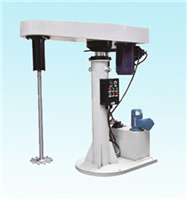 XTJ Washing Unit for Tank is a special equipment to wash high viscosity materials adhering to tank for industries of ink, etc. 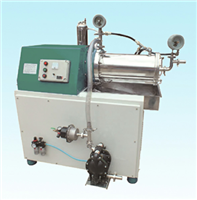 JC 940K Extruding Machine is a highly efficient special equipment to transfer high viscosity materials for ink industry. 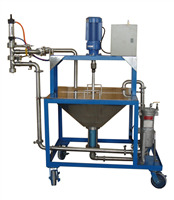 Ink filter filling machine is a special equipment which filters and fills for in kand paint industry etc. It is a key equipment which improves quality of ink products.